This In-Line Push-To-Talk adapter is used for MT headsets and 2-way electronic headsets. Most often ordered for the ComTac and SwatTac units. 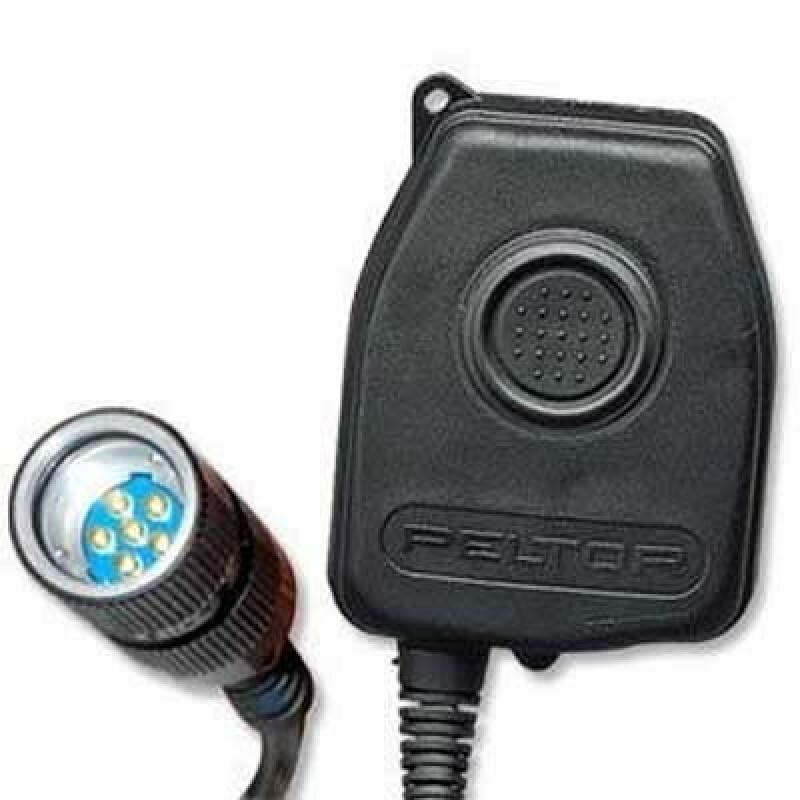 Peltor MT Series headsets require the adapter for 2-way communication ability. The PTT adapter is palm-activated and waterproof. Unit can be used with ring finger PTT accessory (TK55) by selecting option. Option adds an auxiliary jack for the TK-55. Not for use with NATO wired headsets (radios ending in part number -02 suffix).